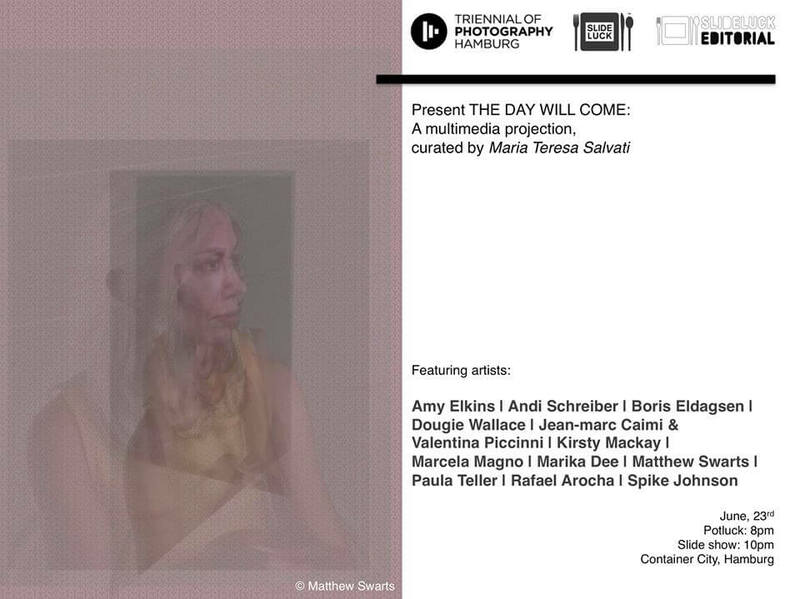 Thrilled and honored to have been included in Maria Teresa Salvati’s Multimedia Presentation as part of SLIDELUCK GLOBAL‘s participation in the TRIENNIAL OF PHOTOGRAPHY HAMBURG. Featuring artists: Amy Elkins, Andi Schreiber, Boris Eldagsen, Dougie Wallace, Jean-marc Caimi & Valentina Piccinni, Kirsty Mackay, Marcela Magno, Marika Dee, Matthew Swarts, Paula Teller, Rafael Arocha, Spike Johnson. June 23, 2015. Container City, Hamburg, Germany.